The Collective WordPress Theme is a WordPress theme for showcasing groups of people — a perfect solution for partnerships, associations, teams, clubs and more. We like its clean and minimal look in the context of a gorgeous, modern design. This theme molds to fit mobile devices perfectly. This theme contains a portfolio and slideshow page template. Sell products using the WooCommerce plugin. Change link and highlight colors with ease. This theme is fully compatible with the Gravity Forms plugin. Smash Themes is your source for premium WordPress themes from hundreds of developers and dozens of marketplaces, all in one place. Check out our best-of theme collections, or just browse themes here. Some of the most cutting edge WordPress tools out there are coming soon, so bookmark us or follow us on Facebook or Google plus to be the first to know! Hi, I'm Allie! I'm a website creator and collector of WordPress themes. I've been using WordPress to customize my sites for about eight years now, and it's always an enjoyable process. Some people collect stamps. I have heaps of themes, fonts, and design elements. I hope you enjoy the site! Want to know what WordPress theme a site is using? Just enter the URL in our WordPress Theme Checker tool! My site runs lightning-fast because I use WPEngine. They're different than other hosts because they specialize in keeping WordPress running smoothly for you. Check them out here for 20% off. Get beautiful design elements that make your site shine here. ThemeFuse Coupon Codes September 2017 – Instant 20% Off! © SmashThemes, 2013-2016. 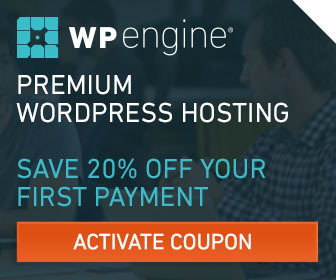 Hosted on WPEngine.